Easter Sunday is just around the corner. 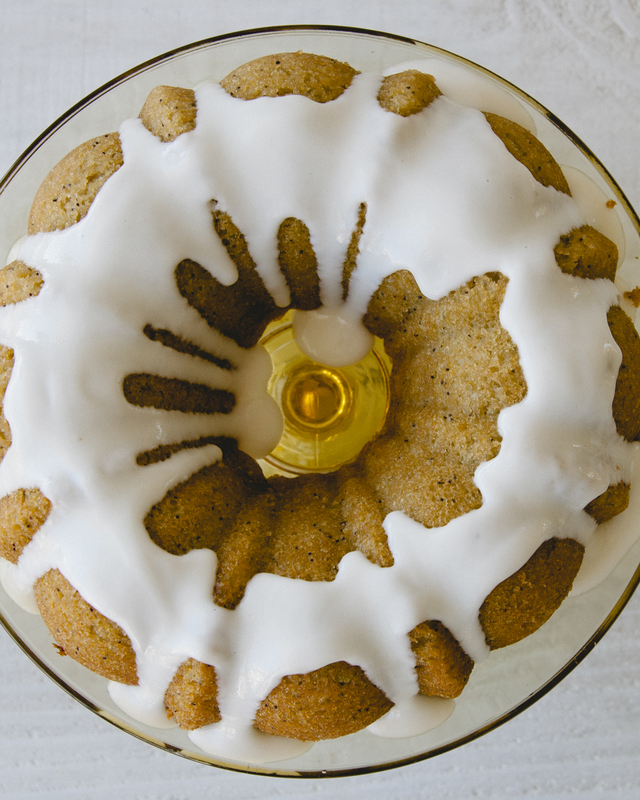 Rise and shine with this beautiful bundt! It is so delicious. Our taste testers (a.k.a. 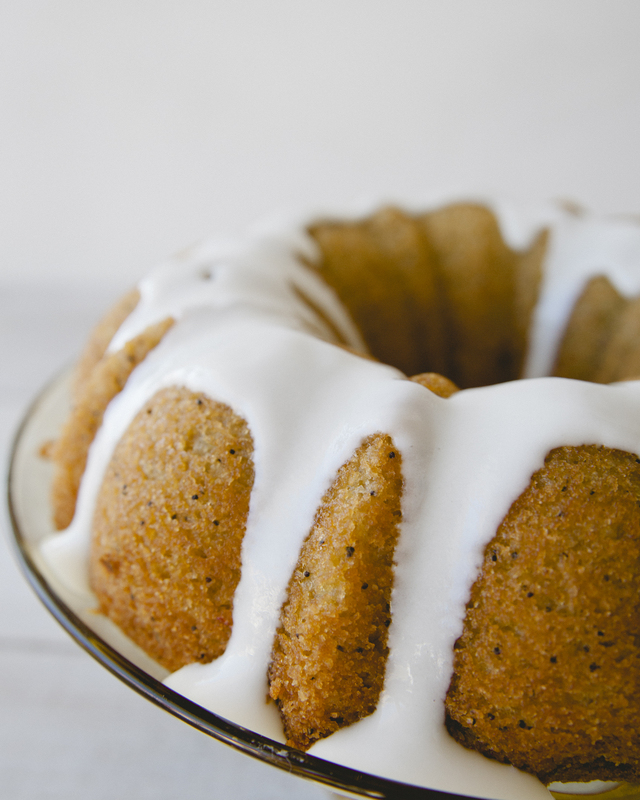 husband and five brothers) claim this is the best lemon poppy seed cake they’ve ever had. One brother even said it was better then the Costco version! See for yourself, it is moist beyond moist. I made a YouTube video with my girl, Claire Thomas and I baking this beautiful bundt. Check it out here. Enjoy! 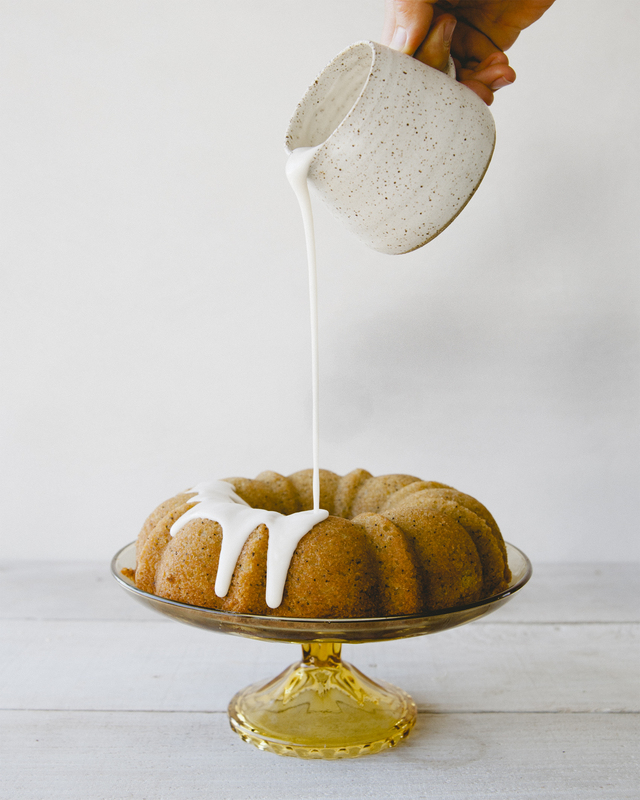 Generously gease bundt cake pan with coconut oil. Combine almond flour, salt and baking soda in a bowl. In a separate bowl, whisk together the eggs, coconut milk, syrup, lemon zest and lemon juice. Add flour mixture, then stir in poppy seeds. Pour into greased pan. Bake for 40-50 minutes. Allow the cake to cool for about an hour. Flip onto plate and prepare glaze. Mix all ingredients over very low heat. Allow to cool. If you’d like your icing thinner, add more coconut milk or almond milk. For thicker glaze add more coconut butter. 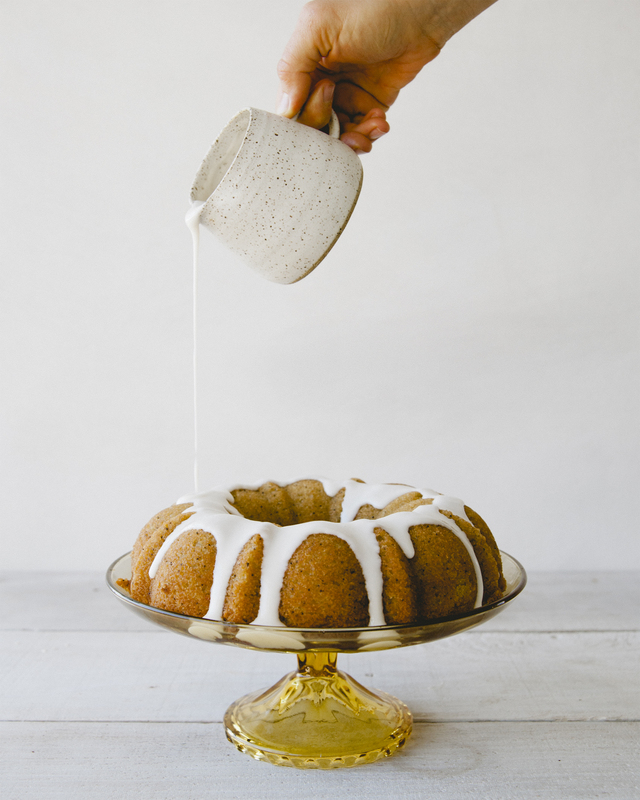 Pour glaze over cooled bundt and enjoy! This entry was posted in baking, dessert, Uncategorized and tagged bundt, gluten free, grainfree, lemon, paleo, poppyseed, refined sugar free on March 22, 2016 by sweetlaurel. 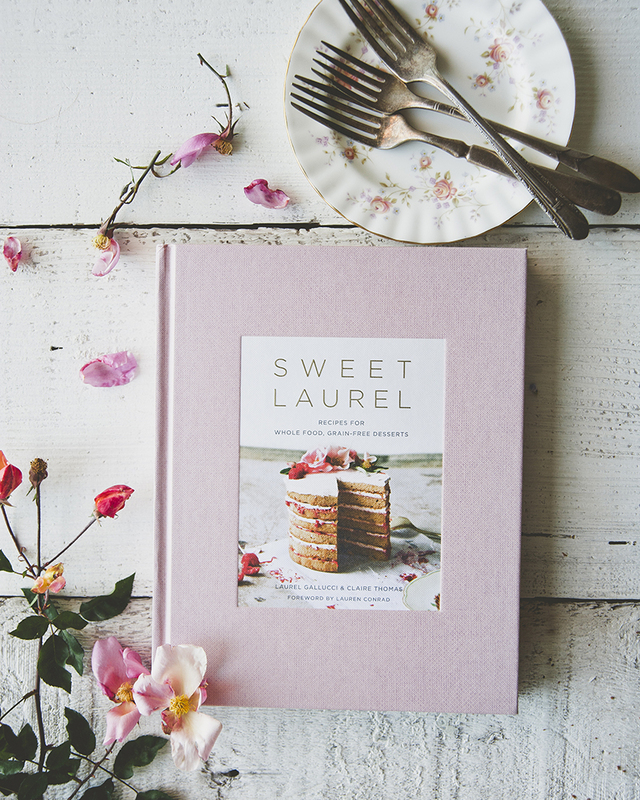 What a beautiful cake (and the photography too)! I’m surprised that its dairy and wheat free, I wouldn’t have known to look at it. 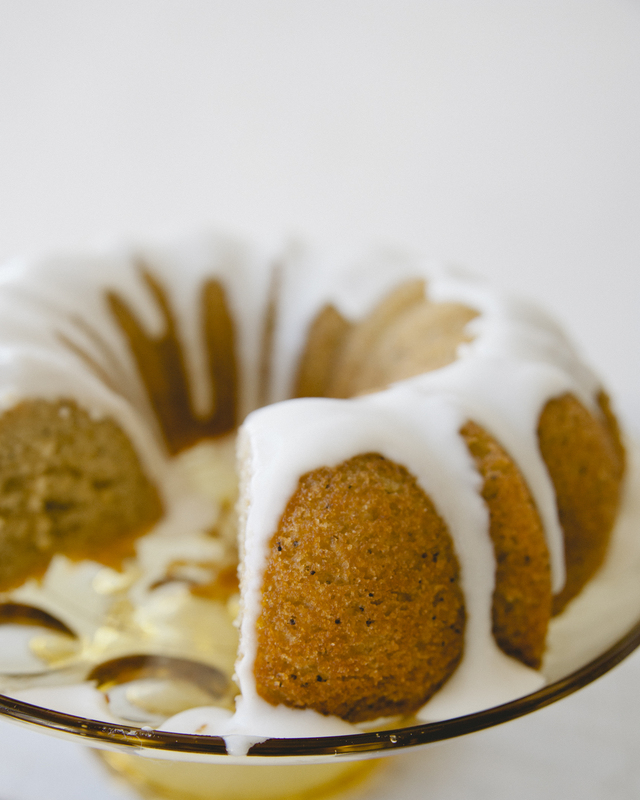 This bundt cake is amazing; I made it this evening without the glaze! It may be the best gluten/dairy free treat I’ve had. Think it will be on my menu for Easter brunch; thank you! 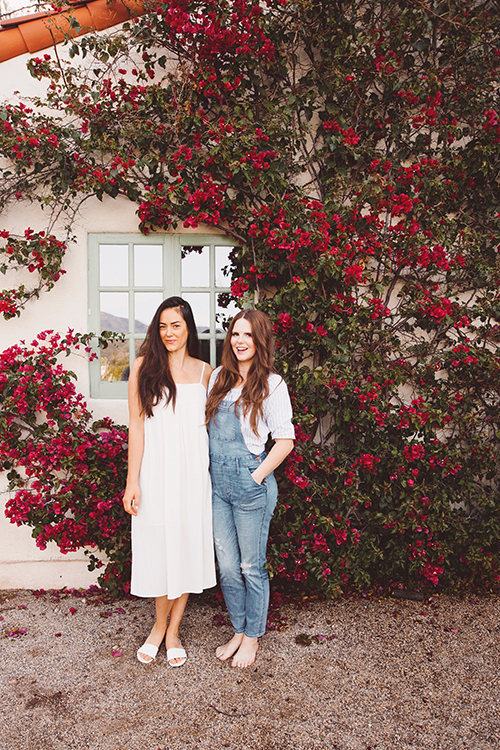 Danielle, this makes me so happy! Thank you so much for the baking report. I love hearing them. I hope you have a lovely Easter celebration. xo! This looks lovely, I’m definitely going to give it a try. Should I be using the thicker tinned coconut milk, or the thinner carton type? I love this and the Kitchy Kitchen site and you are right, Claire’s photos are wonderful. is a brand I like to use. You can also use homemade coconut or almond milk! We have a recipe for homemade coconut milk on the blog actually ;). Enjoy. So happy you are loving the blog and our recipes. Happy Easter! Thanks! We don’t have that brand in the UK, but we do have a lovely organic brand called Biona that looks comparable. I’ll also have to give making it a go. Thank again. Do I use unsweetend almond milk or vanilla almond milk? Does it have to be homemade or cartons from the market are ok? Your almond milk does not need to be home made! Store bought will work just fine. should I use unsweetened almond milk or vanilla almond milk? are the packaged ones from the market ok to use for this? Any type of almond or coconut milk will work. I like using homemade almond milk or Nature Value coconut milk. Have fun! This cake is divine! Perfectly moist and delicious. Love it. Just made this beautiful bundt and it was such a hit. So moist. Flavors are on point! Thank you! It is definitely a fan favorite!